The National Assembly, as a response to former President Olusegun Obasanjo, who described them as a gang of unarmed robbers, called him (Obasanjo) the “grandfather of corruption”. The representatives alleged that Obasanjo is the most corrupt Nigerian that ever held a public office. According to the National Assembly, Obasanjo’s reason for not liking them is because they collected his money and did not support his third term ambition in 2007. The former President had on Wednesday attacked the National Assembly (Senate and House of Representatives), describing them as a den of corruption where each Senator goes home with not less than N15million monthly and member of the House of Representatives goes home with N10million monthly. “Once you are a member, you are co-opted and your mouth is stuffed with rottenness and corruption that you cannot opt out as you go home with not less than N15million in a month for a senator and N10m a month for a member of the House of Representatives. The National Assembly is a den of corruption by a gang of unarmed robbers. The former President said. 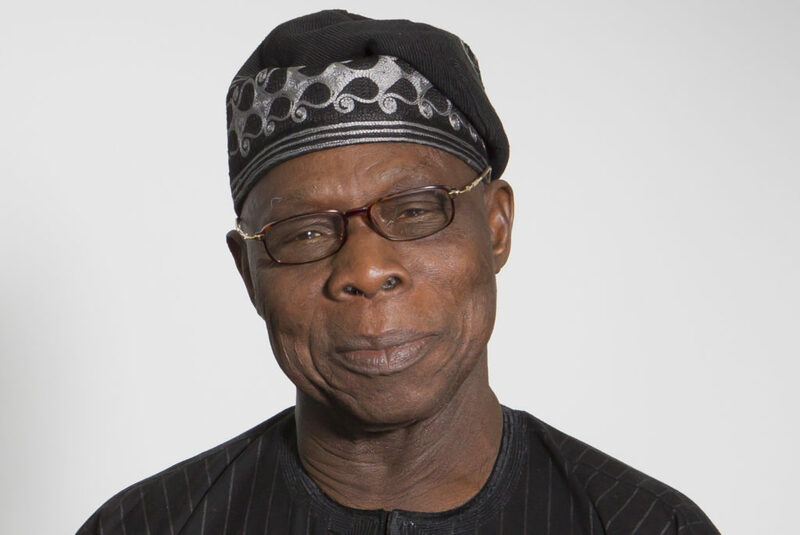 According to Mr. Abdulrazak Namdas, the House Chairman, Committee on Media and Public Affairs, Ex-President Obasanjo have all reasons to be angry with the National Assembly, having collected his N50million bribe in 2007 and eventually destroying his third term ambition. “Undoubtedly, former President Obasanjo is understandably angry with the National Assembly as an institution, having foiled his ambition for a third term in office even after trying to corrupt the members with a bribe of at least N50m each. “Lest we forget, the person who introduced corruption to the National Assembly is Chief Olusegun Obasanjo. He birthed the 4th Republic National Assembly with corrupt practices from day one; indeed the first day of the Republic. “He bribed the PDP, ANPP and AD legislators on their inauguration in 1999 to vote against the majority candidate of the PDP, (the late) Dr. Chuba Okadigbo. That was how Senator Evan Enwerem became the Senate President. “Have we forgotten the sacks of money displayed on the floor of the House of Representatives, being bribe money paid by Chief Olusegun Obasanjo to some honourable members to impeach the Rt. Hon. Speaker, Ghali N’abba? “Have we forgotten that Chief Olusegun Obasanjo used his position as President to extort businessmen and contractors to build his presidential library? According to Namdas, Obasanjo should appreciate their role in constituency projects and budget padding. Regarding his attack on President Muhammadu Buhari, the House described Obasanjo as a blackmailer, who has a history of bringing down any government that refuses to do his bidding. “It is unfortunate that he has started his very familiar method of bringing down governments. He did it to Alhaji Shehu Shagari, he did it to Gen. Muhammadu Buhari, he did the same to Gen. (Ibrahim) Babangida; and he attempted to bring down (the late) Gen. Sani Abacha before he imprisoned him for treason. “He made frantic efforts to derail the government of (the late) President Musa Ya’Ardua when he couldn’t use him. He supported President Goodluck Jonathan, but when he refused to take his dictation, he turned against him. The senate however had since remained calm on the issue, noting that they would not exchange words with a father like Obasanjo on media. “I don’t want to take issue with my father. You cannot take issue with your father on the pages of newspapers.” The Majority Leader, Senator Ali Ndume said.